The recently released official data as at 30th November 2018 points out that 2,080,627 tourists had visited Sri Lanka for this year reporting 11.2% growth over last year when 1,871,871 tourists had visited the country during the same period. 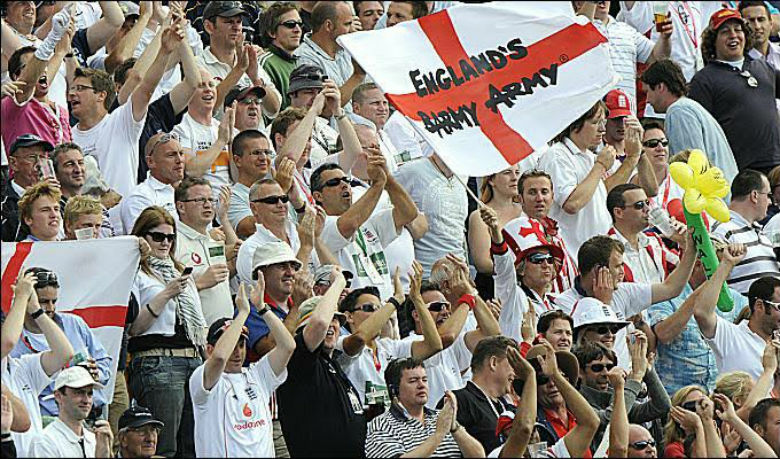 Analysts are in the view, the Cricket fans from the United Kingdom had made it possible to help Sri Lanka to cross the 2 million tourists this year in November 2018. 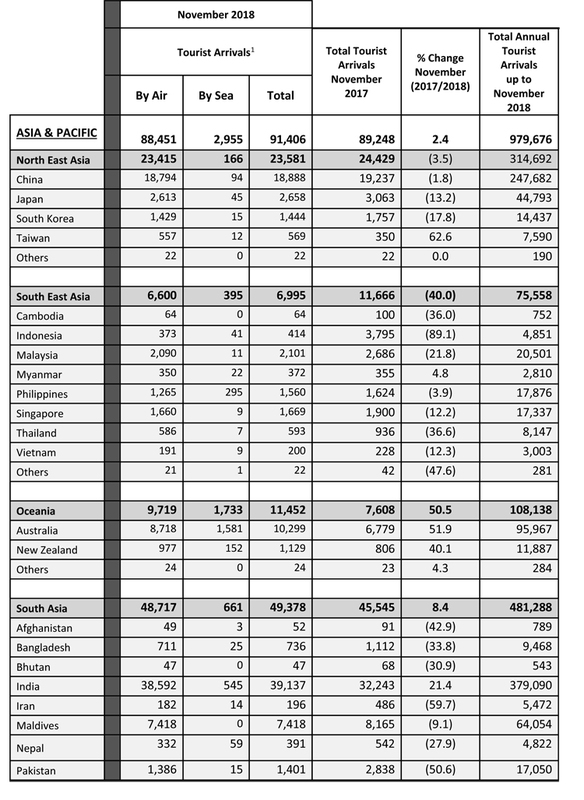 The data points out that the total number of international tourist arrivals to Sri Lanka during November 2018 was 195,582. 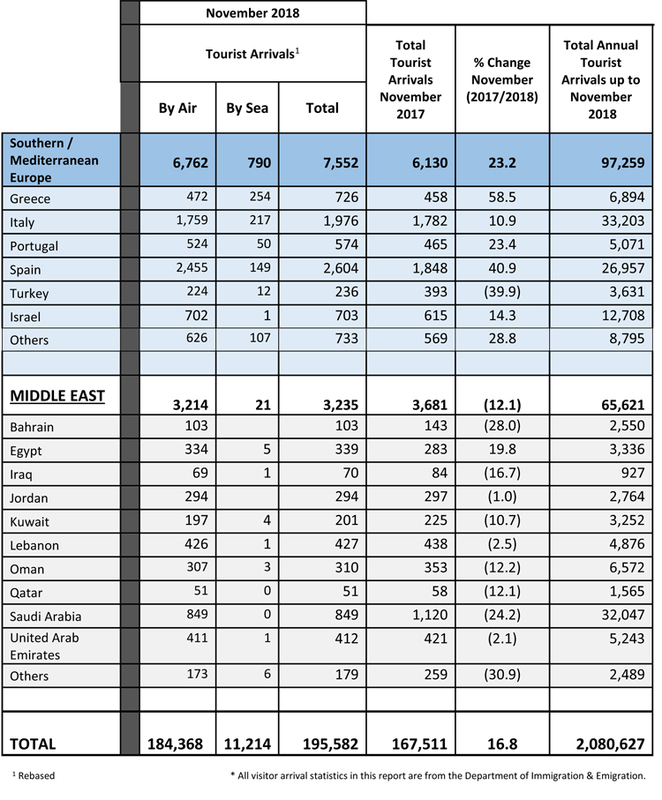 In comparison to November last year, there is a growth of 16.8% when the arrivals were 167,511. United Kingdom accounted for 11% of the total traffic, while China, Germany and Australia accounted for 10%, 10% and 5% respectively. 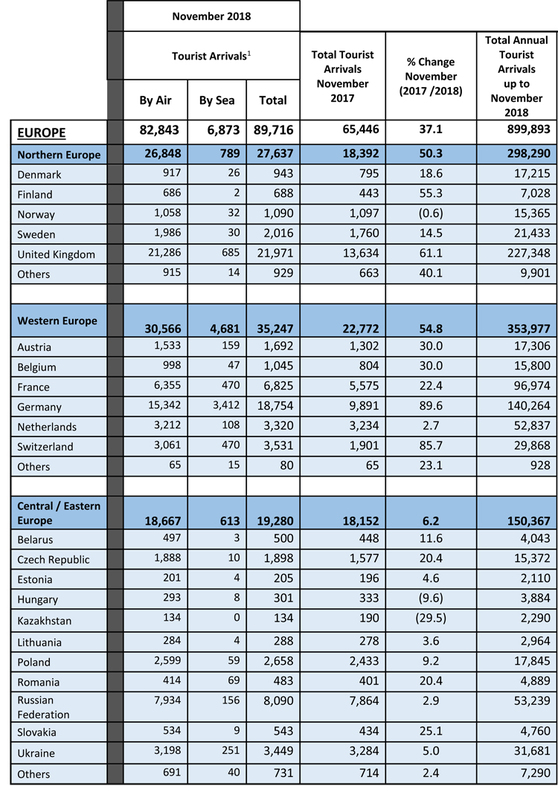 Europe accounted for 43% of the total traffic, America 6%, Middle East 3% and Africa 1%. 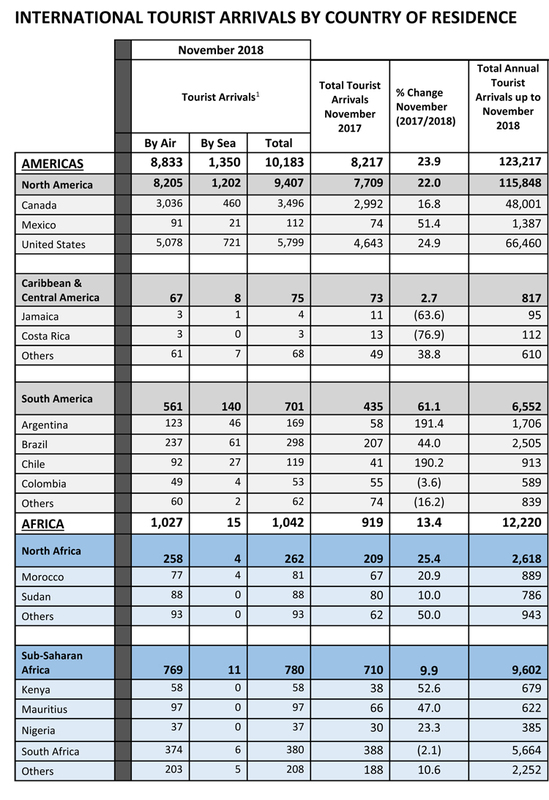 This month, the largest source market for tourists is India, followed by United Kingdom and China. Almost 94% of tourists travelled by air to Sri Lanka. 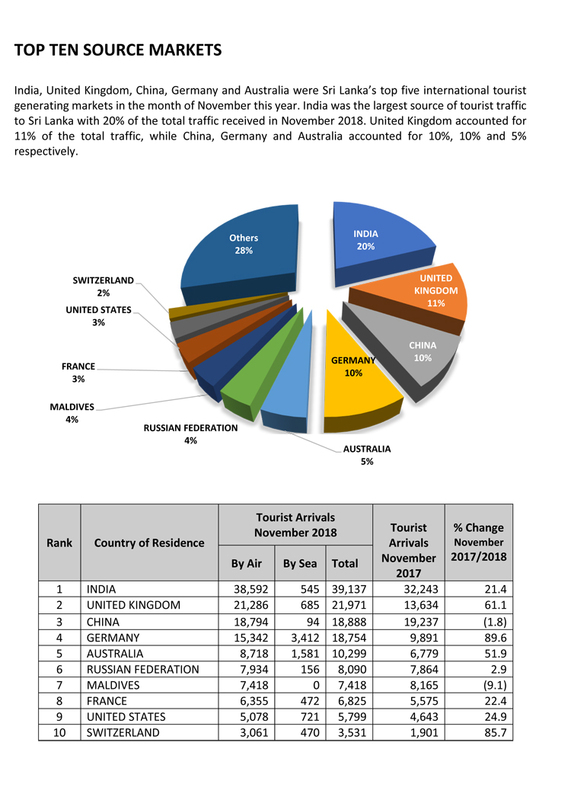 Asia and Pacific continued to be the largest source of tourist traffic to Sri Lanka with 47% of the total traffic received in November 2018. India, United Kingdom, China, Germany and Australia were Sri Lanka’s top five international tourist generating markets in the month of November this year. 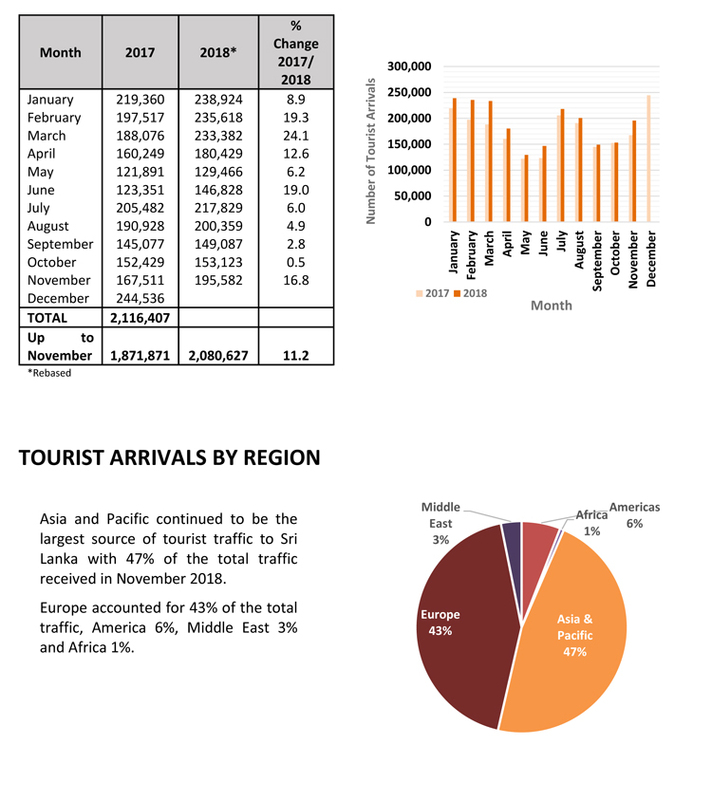 India was the largest source of tourist traffic to Sri Lanka with 20% of the total traffic received in November 2018.